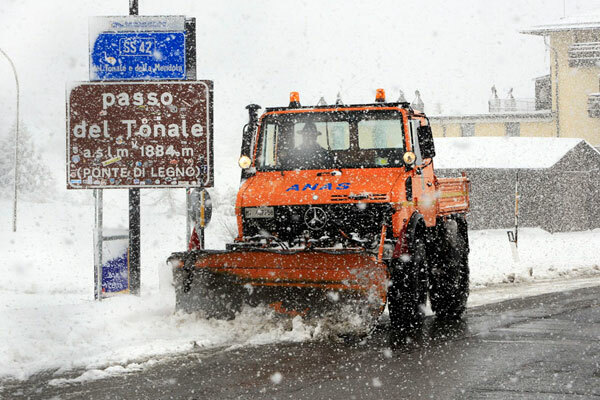 Stage 19 of the 2013 Giro d’Italia has been cancelled due to heavy snowfall along the route from Ponte di Legno to Val Martello. Last night RCS had issued details of a revised stage route, missing out the high mountains climbs of the Gavia and Stelvio, both of which are covered in snow. However, snowfall has now affected the entire stage and the organiser has had no option other than cancel the day’s racing. Saturday’s stage to Tre Cime del Lavaredo could also be affected. Adverse weather has affected the race almost from day one, with heavy rain and snow placing a burden on the riders. Last Sunday’s stage to the Col du Galibier was shortened due to snow. Several riders have withdrawn due to illness exacerbated by the conditions, including British overall hope Bradley Wiggins (Sky) and defending champion Ryder Hesjedal (Garmin-Sharp).